Behlen & Mohawk Wood Finishing Products | Page 3 of 6 , are attached by a durable brass ferrule to the natural finished thin wooden handle for better balance when flowing on finish. (to ensure good adhesion between sealing and finishing coats) in a medium viscosity base. and highlight effects over almost any sealed surface. Use on a sealed surfaces when used as a glaze. chairs and areas hard to reach by brush or rag. that create beautiful, grain enhancing, fade-resistant wood tones. or applied over NGR Dyes to enhance color or emphasize wood grain. in woods (such as oaks, ash, and hard-to-fill woods). 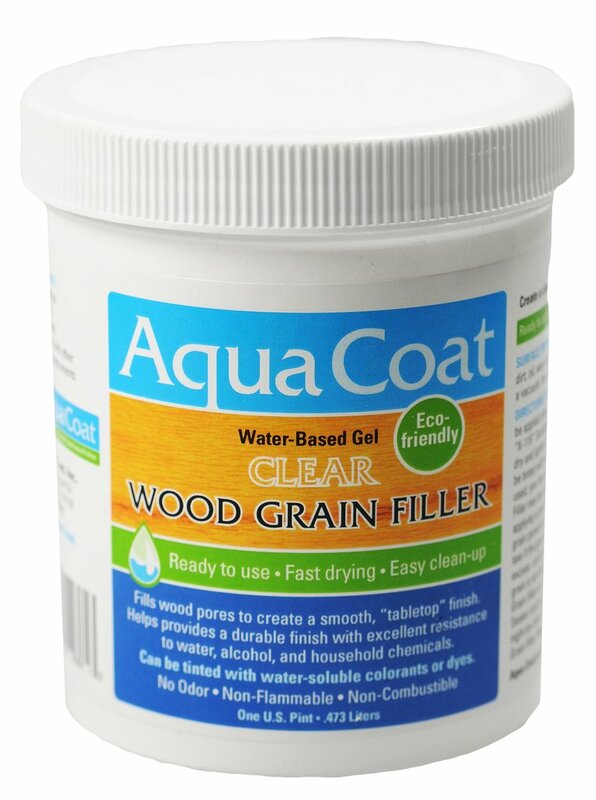 Aqua Coat Clear Grain Filler is a completely transparent paste filler. filling grain & pores without adding color to the wood. "For a clear glass smooth finish, use Aqua Coat Wood Grain & Pore Filler to maintain the color, clarity, and beauty of the wood. It works better and faster than trying to fill the grain or pores with coats of finish." will maintain the working qualities of the filler. A ratio of 4 parts Filler to 1 part Reducer is recommended. Thin the viscosity of the filler depending on the wood pore structure. A fine pored wood will require a thinner filler. 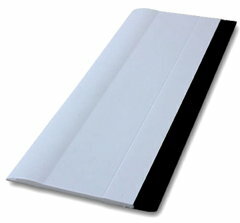 Use of the Filler Squeegee will make filling easier. A classic Solvent based formula, compatible with almost all sealers and topcoats. 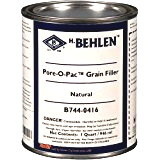 BEHLEN Pore-O-Pac™ Grain Filler is used for filling open grained woods. glass-like surface for subsequent finishing coats. Use over a wash coat of sealer. Our Grain Filler Scraper/Leveler is advised for even filling. A 24-hour dry time is necessary before top-coating. A ratio of 4 parts Filler to 1 part Pore-O-Pac™ Reducer is recommended. closed grain surface on open grain woods like oak, mahogany and cherry. and sands to a finishing grit smoothness. 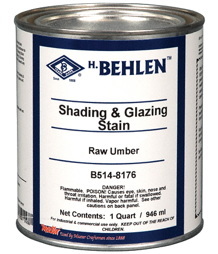 Accepts any Behlen waterborne or solvent base stain or finish. Allow overnight dry time if using solvent base stains and finishes. 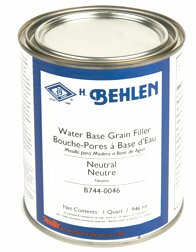 Behlen Water Base Grain Filler is environmentally friendly. It is low in VOC’s, nonflammable, and cleans up with warm water and detergents. Use waterborn or UTC pigments to make additional color tones.